The pictures of Frontierland in Disneyland are split into eleven sections: The introduction and the streets of the town / fort, Thunder Mountain Railroad, the Shooting Gallery, Rancho del Zocalo Restaurante, the Golden Horseshoe, the sailing ship Columbia, the Mark Twain Riverboat, the Stage Door Cafe, the River Belle Restaurant, the island and the Thunder Valley Ranch. Although Tom Sawyer's Island is an important landmark in Disneyland, I don't have any photos of of it from on the island itself. Some photos of the dock are available among the images from New Orleans Square and photos of the western side of the island are available in the Railroad photos at Critter Country. 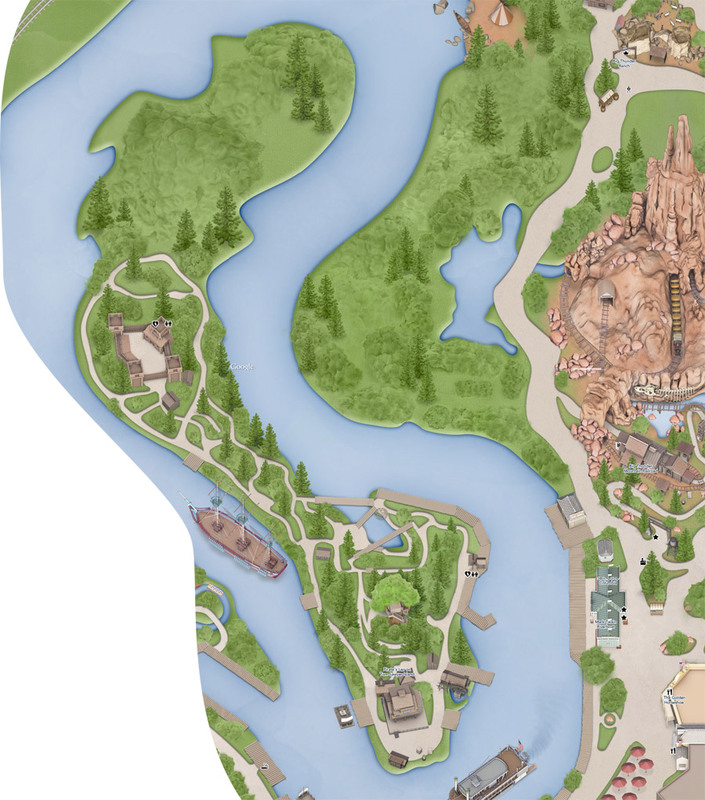 Main Disneyland Map, Main Street, Tomorrowland, Fantasyland, Toon Town, Adventureland, Frontierland, New Orleans Square, Critter Country.